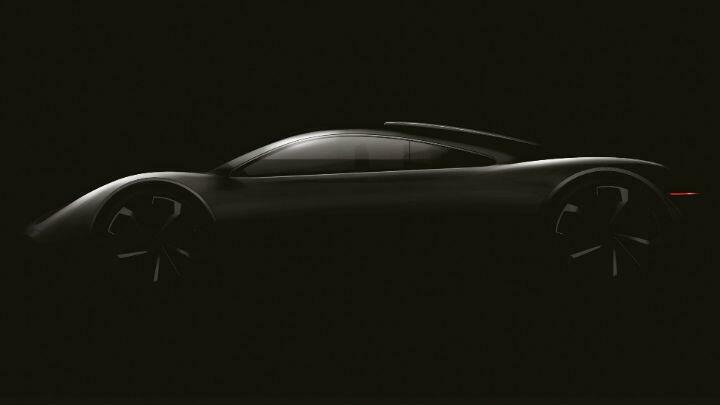 Gordon Murray’s new baby supercar will be about the size of an Alpine A110, and have a better power-to-weight ratio. It’ll do that by weighing just 850kg, Murray said today. He also specified the engine will be a mid-mounted 1.5-litre three-cylinder turbo, making 220bhp, and it’ll use a six-speed manual transmission. The codename is T43, the 43rd car he has designed, including all the grand prix machines and the McLaren F1, plus his personal one-offs. The ultra-light weight stems from its construction, Murray’s iStream system in its lightest form. This uses simple aluminium sections. Carbonfibre panels are bonded in to the aluminium frame, so as to add to the strength. Murray also showed today a rendering of the structure. The aluminium in the car’s body consists of easy to make extruded sections. The carbonfibre panels are a honeycomb type, made of recycled material to keep cost down. Murray claims such a body would be only half the weight of a conventional stamped steel body. Yet it wouldn’t cost any more than steel, mainly because of much cheaper set-up costs in the plant. It’s also more durable and won’t corrode. “I don’t want to become a new McLaren,” he says. The T43 was conceived to be built here, and sold under the IGM (Ian Gordon Murray) brand. Despite the power being modest, the price will be anything but. It be very limited-edition with jewel-like construction. No intro date yet; a few months ago, surveying the development centre before fitting-out began, Murray told us he was “in no hurry”.